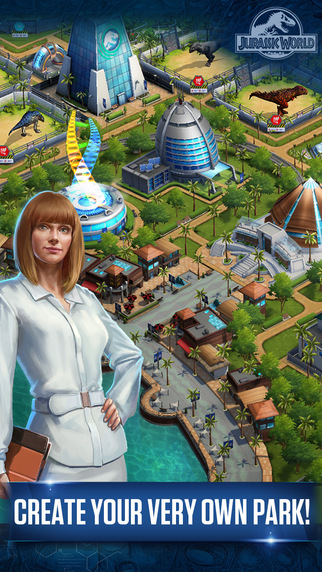 Ludia Inc., in partnership with Universal Partnerships & Licensing and Amblin Entertainment, have announced the launch of Jurassic World™: The Game. The official mobile game is based on Universal Pictures’ and Amblin Entertainment’s Jurassic World, the long-awaited installment in the groundbreaking Jurassic Park series, in theaters June 12, 2015. The game is available exclusively on the App Store. 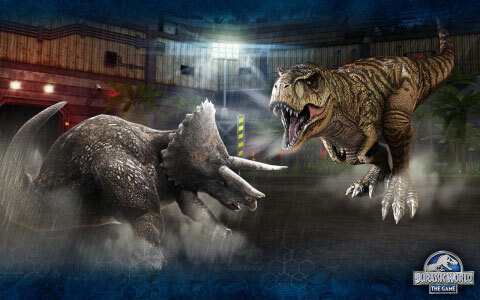 In the game, fans of the iconic dinosaur franchise are invited back to Isla Nublar where, alongside their favorite characters from the film, including Owen and Claire, players can raise and evolve more than 50 different dinosaur species and battle with them in head-to-head combat in the game’s battle arena. Players will find themselves immersed in a prehistoric experience, surrounded by iconic buildings and lush landscapes inspired by the film, and can interact with the colossal dinosaurs like never before. Defy the laws of science as they COLLECT, HATCH & EVOLVE more than 50 unique dinosaurs. CONSTRUCT AND UPGRADE iconic buildings and lush landscapes inspired by the film. CHALLENGE opponents from around the world in earth-shaking BATTLES. INTERACT with characters from the film as they navigate exciting new storylines and thrilling missions. ENHANCE the experience with Hasbro Brawlasaurs toys – scan each toy dinosaur and battle with it directly in the game. CHOOSE from multiple card packs; each can bring a special dinosaur to life. EARN daily rewards such as gold, DNA and other essential resources. This entry was posted on Thursday, April 30th, 2015 at 11:45 am and is filed under Everyone, Mobile, National News, New Releases, Simulations. You can follow any responses to this entry through the RSS 2.0 feed. You can leave a response, or trackback from your own site.